The Research Foundation of CUNY has now implemented the use of the Electronic I-9. 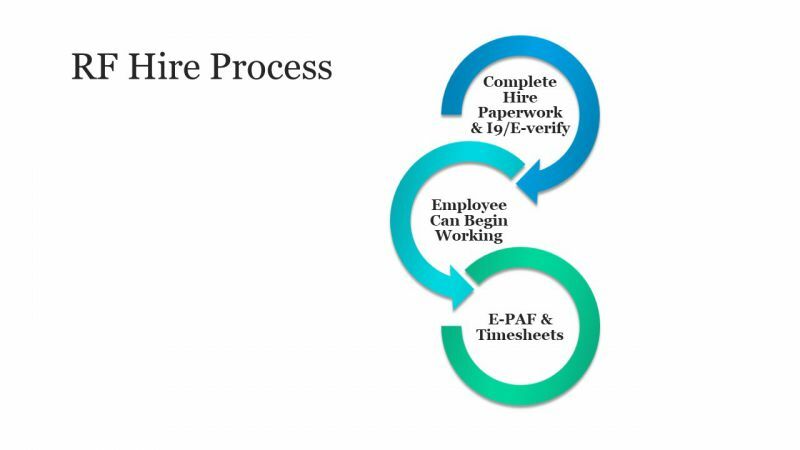 Once an employee is verified as being a New Hire or a Re-Hire that requires a new I9, they will receive an invitation to complete Section 1 of the Electronic I-9. This should be completed before or on the employee’s start date. They will then need to meet with a staff member in Sponsored Programs to complete Section 2 of the Electronic I-9. This new system completes the I-9 & E-verify process all in one! Due to Federal, State and Local regulations and laws, employees MUST NOT begin working until the appropriate paperwork is filled out regardless of their employee status. Contact Cherryanne Ward, Grants Administrative Associate (212-621-3718; cward@jjay.cuny.edu) with the employee’s full name, email address, date of birth, RF project number, and expected start date. *If the employee has a common last name, we may ask for the last four digits of the social security number. OSP Staff will verify with the Research Foundation the employees’ status – whether they are considered a New Hire or a Rehire – the paperwork may vary for each employee. OSP staff will email you and the employee with the appropriate paperwork that must be completed before the employee can begin working. Please do not use the documents for other employees as requirements may vary. The email will also have specific instructions that both the Principal Investigator and employee should pay attention to. Please read the email carefully for detailed instructions on the forms that apply to you and that require your input. The employee will also be sent a separate email invitation to complete Section 1 of the Electronic I-9 Form. This email will come from the third party source known as EMP Trust HR. They will still need to see an OSP staff member with their original unexpired documents in order to complete the I-9 & E-verify process. You will complete the paperwork with the employee and sign off on all required forms. You will then have the employee make an appointment to see an OSP staff member BEFORE or ON the employees start date. We need to see the employee in person in order to I-9 and E-verify them if needed. All New Hires MUST be I-9ed & E-verified by the third day after their start date. There are also I-9 requirements for Rehires that vary depending on their break in service. We encourage you to complete the paperwork at least two weeks prior to the employee’s start date, so that the paperwork will be processed in time for appropriate payroll period. Completed paperwork will be forwarded to the Research Foundation for processing. Once processed, the Principal Investigator will receive notification that they can enter in an e-PAF (the electronic version of the Personnel Action Form which encumbers the funding for the employee on the RF account). The employee will also receive an email with their employee ID number from the Research Foundation with instructions on how to complete their online profile and submit timesheets. They will not be able to complete their profile and complete timesheets until their e-PAF has been entered and approved. You will then be able to approve timesheets your employee submits according to the payroll schedule using the RF online Time and Leave System. Full Time CUNY Faculty and Staff, cannot be placed on Research Foundation Payroll. Adjuncts and Part Time CUNY Staff can be placed on Research Foundation Payroll, but a Multiple Positions Letter will be required. The CUNY and RF funding cannot be used to support the same position. The College is now mandating that all PIs/ Timekeepers, and Authorized Signatories with access to the Research Foundation e-PAF and e-Timesheet Systems complete a Mandatory e-PAF and e-Timesheet training before completing any e-PAFs or approving any e-Timesheets for their employees. If you have not completed a training thus far, please reach out to Sponsored Programs at sponsoredprograms@jjay.cuny.edu to find out when the next available training will be held.